Love is beyond all physical circumstance. Once a person is truly in love, he can surpass every man-made limitations and social conditionings. Well, today, in this session, we have a similar story of a celebrity couple who despite a huge age difference have openly dedicated their love for each other. The 33-year-old, American actress, Katharine McPhee and 67-year-old, David Foster, have developed an unconditional love for each other. 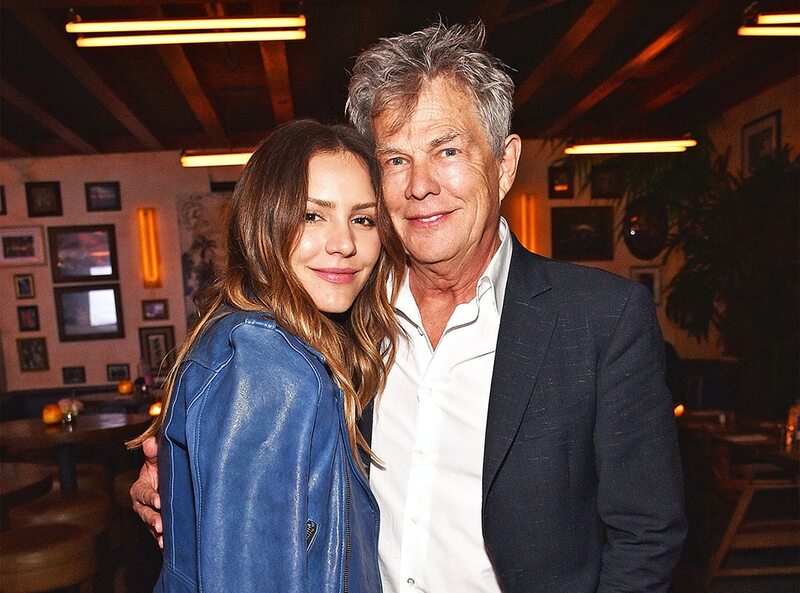 Grandfather of seven, David Foster is a world-renowned musician while Katharine McPhee is a famous actress, singer as well as a songwriter. Recently, they were caught enjoying a dinner together. These two lovebirds were even spotted kissing. Let's learn more about their love affair, relationship, and dating life. Just stay with us. The Shark Night 3D actress Katharine McPhee was reportedly caught together with the former chairman of Verve Records David Foster, sitting on a private sea-front table at a restaurant in Nobu. The couple was enjoying their dinner together, and they looked very intimate with each other all the while. David grabbed Katharine's face and kissed on her cheek several times. At the same time, Katharine was doing the same to her beau. She was also kissing all over David's face. As reported by E! News, all the while they were in the restaurant, They cuddled like under a blanket while sitting at the table. It's still a mystery exactly when and how the couple first met but they have reportedly been together for years. The pair has also been often seen together at numerous charity events and press conferences since 2006. We would also like to inform you that both Katharine and David were married to different persons in the past, however, after the divorce with their respective spouses they began dating and it looks great to see Katharine and David moving on with each other. Katharine McPhee was previously married to an American actor Nick Cokas. They indulged in a marital relationship in 2008, however, after six years of marriage, the That's Life singer filed for divorce with her husband on 22 May 2014, however, the divorce was finalized only in 2016. David Foster meanwhile was married four times before he started dating Katharine. His former wives include famous Hollywood names like B.J. Cook(1972-1981), Rebecca Dyer(1982-1986), Linda Thompson(1991-2005) and Yolanda Hadid(2011-2015). Also, read - David Foster a controlling husband as former wife Yolanda Hadid mistreated while they were married? Here's a video clip of the wedding ceremony of David Foster with her last wife Yolanda Hadid. Enjoy watching! After going through several troubled relationships Katharine McPhee and David Foster are now an item. We wish them a happy married life.